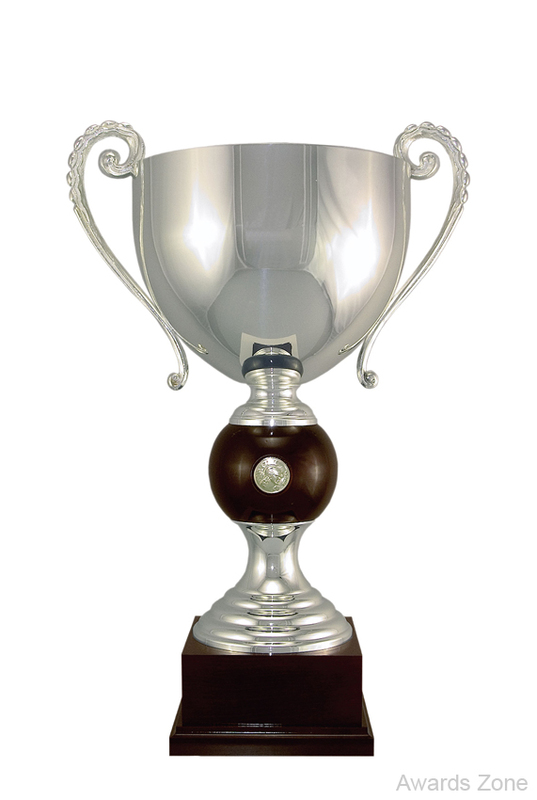 This wonderfully crafted Italian Championship trophy offers elegance and rarity with it's wooden ring Ball. Available in 3 sizes 18-1/2", 19-3/4" and 22-3/4". CUP ENGRAVING IS PRICED FOR ONE LOCATION ONLY!